What DCIM Tools? You Mean Spreadsheets and Tape Measure? 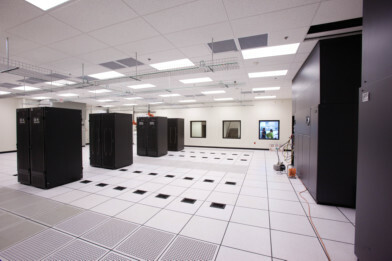 Data centers aretraditionally made up of two distinct components: IT and facilities. IT is responsiblefor the servers and devices located in the racks, as well as the applications installed on those devices and the management of the devices themselves. Facilities is responsible for physical security, environment, power, lighting, cabling, plumbing and other site management concerns. In the past, each group worked independently of the other and utilized separate software systems to manage their areas. However, that is no longer the case. DCIM tools are designed to integrate IT and facilities management with one software solution that incorporates asset and inventory management, operations management and power configuration and monitoring. By providing a long-term view of data center resources and performance, this feature will be extremely useful in planning future power, space and asset needs. These features, along with a live map of equipment placement in the data center, alarm and threshold management, provide a convenient and effective means of troubleshooting a multitude of different problems that can ultimately minimize downtime. With power configuration and monitoring tools, data center managers are able to monitor and report on the center’s complete power path from how the power comes into the center to how it is distributed to its current status. Constant, real-time monitoring of the power path means that failure along any point of the path can be more easily located and quickly repaired. Immediate identification of power issues reduces the risk to other devices along that specific path. Real-time problem identification leads to real-time problem mitigation. All of these components and the tools within them are able to communicate between one another. This allows data to be analyzed on many levels and in many configurations, which ultimately leads to better data center management from both an IT and a facilities perspective. The ability to custom design Data Center Infrastructure Management solutions means systems can be created to meet the specific needs of individual data centers. This entry was posted in Data Center Infrastructure Management, DCIM. Bookmark the permalink.